George Williams put in a fine display to help Wigan claim their first win of the season as they beat Leeds 34-16 at home. Wigan named an unchanged side to the one that lost in the opening round to St Helens, while Nathaniel Peteru came into the Leeds side. 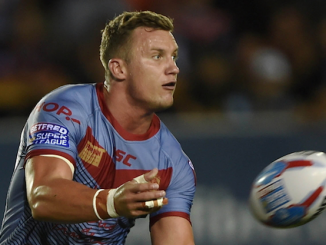 The Rhinos scored just two minutes into the game through Ash Handley, before Wigan quickly levelled the score through Dan Sarginson. Leeds and Wigan again exchanged tries through Brett Ferres and Ben Flower, before Adrian Lam’s side got a roll on. They finished the stronger side in the first half, with Joe Greenwood and Joe Bullock scoring to give the hosts a 22-12 lead at the break. Williams extended Wigan’s lead in the second half, which ultimately put the game beyond reach for Leeds. Kallum Watkins crossed for the visitors with 10 minutes remaining, but Wigan had the last say on the game as Liam Farrell went over late on to secure a 34-16 win for the Warriors. George Williams was unplayable at times, he was THAT good. The England international is one of the best defensive half-backs in Super League, and his attack matched his defence in the game. Williams’ running game caused problems for Leeds all the game. His short kicks were on point as well, which Wigan gained a couple of drop-outs from. 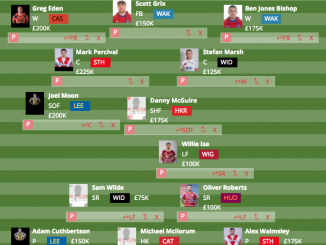 This is a big call but if Williams plays like that for the majority of the season, he could pick up the 2019 Steve Prescott Man of Steel award. A lot of Leeds fans will no doubt feel deflated as they read this match report after suffering their second defeat of the season, but it’s important to note they showed huge strides of improvement from last week’s opening round defeat at Warrington Wolves. Dave Furner will not be happy with result, obviously, but there are plenty of things he will be pleased about. Their attack was much more fluent this week and they played an exciting brand of rugby. Their set completion was 58% so although their play was expansive and nice to watch, they need to learn how to keep hold of the ball but that will come in time. Let’s not forget, there are a number of new players and a new coach, so it’s always going to take time. If Williams didn’t perform as well as he did, Sean O’Loughlin would have picked up the man of the match award because he put in an outstanding display. 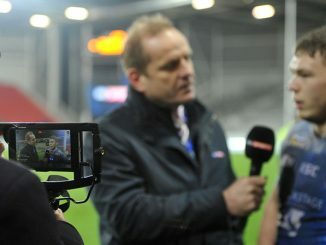 The Wigan and England captain led the Warriors around the park in superb fashion. Like always, Wigan perform better when he is on the field and that’s exactly what happened. O’Loughlin was formidable in attack and defence and brought leadership to the Warriors. Wigan fans will be hoping he can stay fit all season, because just having him on the field makes a massive difference. 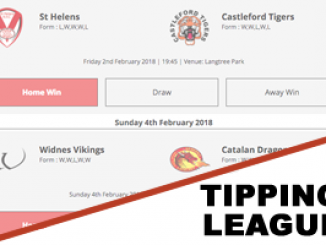 Wigan: Hardaker (8); Davies (6), Gildart (7), Sarginson (5), Marshall (6); Williams (9), Leuluai (7); Clubb (7), Powell (7), Flower (8), Greenwood (8), Farrell (7), O’Loughlin (9). Subs: Navarrete (6), Isa (6), Hamlin (7), Bullock (8). Leeds: Walker (8); Briscoe (6), Watkins (6), Hurrell (7), Handley (6); Lolohea (7), Myler (5); Peteru (6), Dwyer (6), Merrin (5), Ferres (5), Sutcliffe (5), Ward (7). Subs: Parcell (6), Donaldson (5), Cuthbertson (5), Oledzki (6). 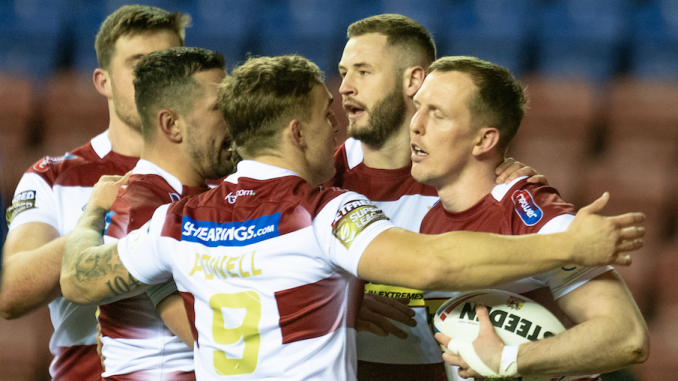 Wigan needed a good performance before heading into the World Club Challenge against Sydney Roosters and they didn’t disappoint the home fans as they served up a treat. Lam’s side were a delight to watch and they threw the ball around in difficult conditions. Williams was outstanding, he is at his best when he runs with the ball and that’s what he did. His dazzling darts and short kicking game proved to be a challenge for Leeds. 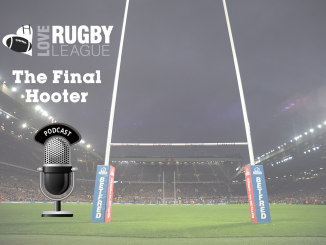 A bit on Leeds: They certainly improved on their performance from their loss at Warrington but there is still a lot of improvement to be made. They are definitely showing signs of what they can do, but they need more time to gel together and get used to Furner’s systems.